The streamlined Beta AR Jacket provides the backcountry minimalist with durable storm protection in a lightweight and packable format. 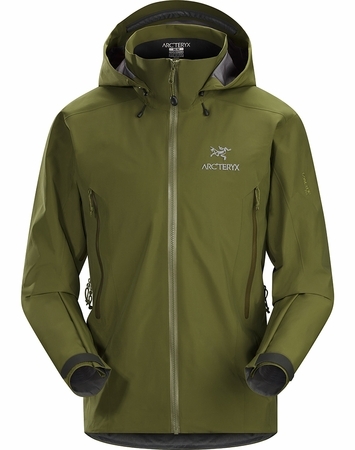 This hip length GORE-TEX Pro jacket reduces layering overlap and bulk, a helmet compatible DropHood offers quick storm protection, and reinforced shoulder and elbows survive alpine abuse. A good hood is a crucial detail on any serious alpine jacket. The Beta AR features the Arc'teryx DropHood, a helmet-compatible, fast adjust hood with a separate collar for draft protection. The Beta AR is a solid, well-rounded piece. Durable, lightweight, with hand pockets and pit zippers for ventilation, it can manage storms, rock, snow and cool seasons. GORE-TEX Pro delivers the highest level of waterproof/breathable performance.